Dubbed the “Holy Grail” of cryptocurrency, the dominant stablecoin platform could become the most valuable institution in human history…but what if there is no winner? Price stable cryptocurrencies, designed to mitigate the volatility of traditional crypto assets such as Bitcoin, seem to be all the rage these days. Stablecoin projects are mushrooming all over the place. 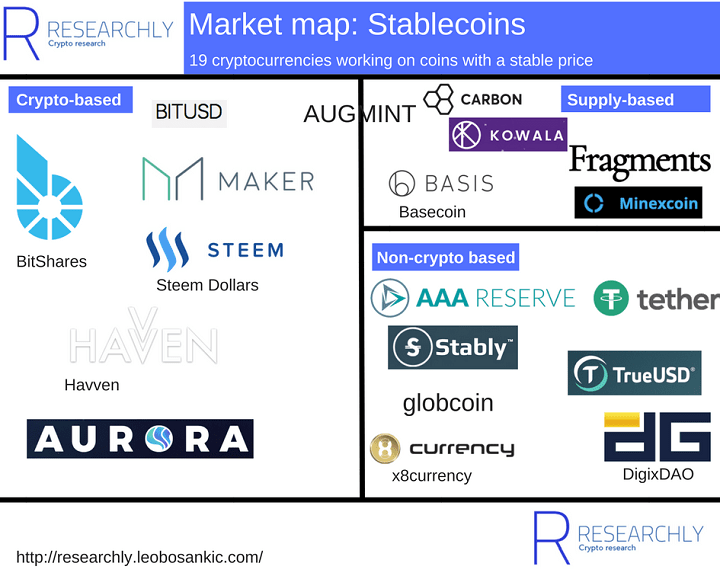 The Stablecoin Index lists over 20 projects already deployed or in active development. Probably many more are to come. Some of them are extremely well-funded and have powerful backers. For example, Circle’s stablecoin project, Centre, raised over $100 million and has the backing of Goldman Sachs and Bitmain (the largest cryptocurrency mining company). And Circle is hardly an outlier. Basis also raised over $100 million and is backed by a long list of prominent VCs including Andreessen Horowitz. A lot of ink has been spilled questioning the economic soundness of stablecoins and I would prefer not to rehash the arguments for and against them here. For my own two cents, I think that they can provide a lot of utility to the ecosystem; however, I question the soundness of some of their economic models, such as the one proposed by Basis. But that’s neither here nor there. Why are rich and powerful interests willing to put so much money into (sometimes dubious) projects? Is this simply the crypto-bubble hype getting the better of otherwise seasoned investors? Perhaps. But in defense of parties like Andreessen Horowitz, the potential prize of investing in the winning currency is astronomical. 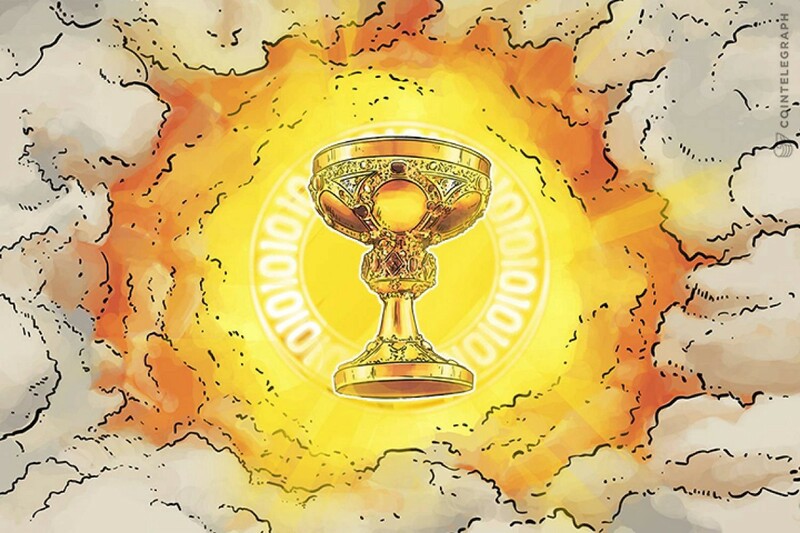 Some go so far as to declare stablecoins the “Holy Grail” of cryptocurrency. The reasoning goes something like this: one day, the internet will have its own native currency. Just as other internet utilities such as social networks (Facebook), search (Google) and retail (Amazon) are controlled by large, powerful monopolies, so too will internet money become a monopoly platform. Whoever controls this next monopoly will control perhaps the most economically valuable institution in human history. However, Bitcoin’s volatile prices are a serious limitation to mainstream adoption. Perhaps wealthy tech libertarians are willing to watch their bank account gyrate up and down more than 20% on any given day, but most of us would have a difficult time paying rent if our paycheck unexpectedly dropped by a fifth on payday. Clearly, there needs to be a solution to the volatility problem. Enter stablecoins. If a cryptocurrency’s exchange rate remains fixed relative to the USD, then people can start using it the same way they use fiat money. Whatever characteristics the future internet money monopoly will have, stability is certainly a prerequisite. The standard theory in the stablecoin space is that money is analogous to a social network. A group of people get together and agree that a number represents each participants’ claim on the group’s production. If I own some dollars, I can give these dollars to someone else in our group in exchange for a tangible good or service. The more people in our network who accept these dollars, the more powerful our network’s currency becomes. “Metcalfe’s Law” postulates that the utility of a network is derived from the number of connections between nodes. Thus a large network with many connections is far more useful than a small network. If a social network reaches critical mass, then it becomes nearly impossible for a potential competitor to enter the market because they will start out with a much smaller group of users. In the case of internet money, if a critical mass of people recognizes your currency, you will have created a de facto monopoly. No one will want to use a cryptocurrency that isn’t widely accepted, just like users are not inclined to leave Facebook to seek out a less popular site. As we have observed over the past ten years with social media, network-effects are a great thing for a company to have. They virtually guarantee a moat around your business that stifles competition from cracking into your market. That’s why Facebook has such massive profit margins. Indeed, tech in general lends itself to winner-take-all competition where whoever grows big enough, fast enough inexorably dominates the market. Whichever stablecoin grows big enough, fast enough will be well on their way to dominating the internet’s native monetary system. If becoming the de facto central bank of the world’s first globally available currency isn’t an enticing prospect, I don’t know what is. A boilerplate forecast for the ensuing stablecoin wars is that a bunch of stablecoin projects will begin to engage in intense competition for market share. Whoever can gain a compelling lead will see their dominance snowball as network effects allow the leader to consolidate their hold over the industry. Through this lens, it makes every bit of sense that powerful, wealthy investors would pour tremendous resources into these projects. The better capitalized a project is at the outset, the higher the chances of success. If an investor backs the right horse, she will own a piece of the next Facebook, except it will be even more valuable. Unfortunately for stablecoin projects and their investors, this thesis is probably wrong, and wrong in a big way. My realization is that stablecoins have more in common with commodity goods than with social networks. That is, this is a market where many players can coexist and each player is unable to differentiate their product from the competition. To see why, consider what would happen if instead of one monolithic platform dominating the industry, we have a bunch of players vying for marketshare. Indeed, this thought experiment requires no leap of faith since this is our current status quo. And if the ticket to entry is a few million dollars of capital, then the market could get quite crowded indeed. Each of these currencies will have to peg themselves to the USD. What this means is that we will have dozens of currencies all tracking the exact same value. Unless one of them collapses (many probably will), the price of each stablecoin will move almost in lock-step with its competitors. If you are a stablecoin, the core functionality you provide to users is stability. That is, keeping the market price of your token as close to 1.00 USD as possible at all times. To dominate a market and beat the competition, a business needs to have some way of differentiating itself. There needs to be some dimension along which that business is head and shoulders better than anyone else. The funny thing is, when it comes to stability, there isn’t much room for differentiation. A cryptocurrency can only be so stable — it’s an asymptotic property, after all. There is no way possible to be more stable that the USD when that is the benchmark for measuring stability in the first place. Hypothetically, a stablecoin could one day get off of the dollar peg and instead benchmark its value against a consumer price index — this is how most fiat central banks manage their currency. In practice, that would be extremely difficult. If there is an alternative stablecoin pegged to the USD, then users will prefer that instead. Why open yourself up to exchange rate risk if you don’t have to? Given how quickly large amounts of capital can be transferred across cryptocurrencies, it would be quite easy for the market to abandon any stablecoin that tried to transition away from a dollar peg. So if stablecoins can only compete via price stability, and its impossible to differentiate yourself in this way, where does that leave the industry? Rather than being a network-effect driven, winner-take-all market like Facebook and social media, stablecoins are a commodity good, like wheat. And like bushels of wheat, stablecoins — even coins from different issuers — are fungible with each other. No one cares where the wheat was grown. Was it from an American farm? A European farm? None of that really matters to the consumer. And as long as a stablecoin can hold its value reasonably well, users won’t care which ERC20 contract represents their token on the blockchain. Stablecoin A will be interchangeable with Stablecoin B. One thing about commodity industries in tech is that they do not lend themselves to the juicy profit margins associated with platform companies like Facebook or Google. That’s bad news for investors and stablecoin teams. But it is good news for the rest of us. More competition between stablecoins means that one platform won’t come to dominate the market. If a single stablecoin does achieve a Facebook level of dominance, it will become quite powerful and very wealthy. That power and wealth will necessarily come at the expense of the crypto ecosystem, just as current tech monopolies have adverse effects on our society.